I am regularly asked what are the best apps for the iPhone? What can you do with an iPad? And with these devices being some of the most sought after holiday gifts, there are probably quite a few new iDevice owners out there. 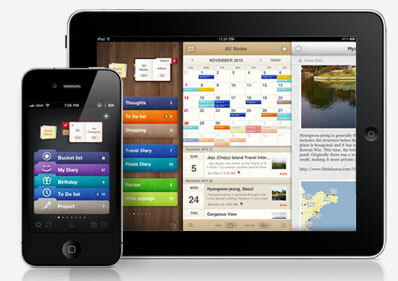 So here is my list of great apps and accessories for the iPad and other iOS products. How do you make your iPad more productive? Keynote - Is Apple's presentation app for iPhone and iPad's that includes twelve template designs, animated charts and twenty smooth transitions. There is an adapter for your iOS device that will allow you to output to a monitor or projector or you can stream your presentation via AirPlay to a television equipped with an AppleTV. 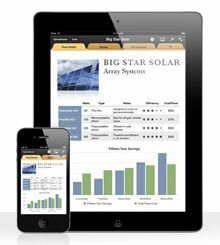 The app also supports presentations created in Apple's desktop version and Microsoft's PowerPoint. Overall I don't make presentations on my iPad but find it very useful in giving my presentation via the iPad. 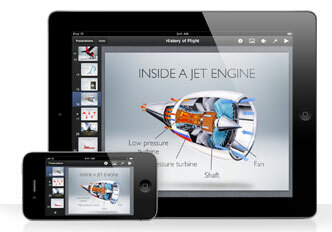 The iPad will show your presenter notes and even offers a laserpointer functionality. Numbers - Apple's spreadsheet app works on all iOS devices as you'd expect though I have experiences some challenges with compatibility and syncing with Apple's iCloud storage solution. I mostly use this app for some quick tabulation of numbers and to pop open the occasional Excel file. If you frequently receive or want to edit a smaller worksheet this app is nice to have in your arsenal. But it may not be the first app you need to get. Pages - This is another Apple application and probably one of the more frequently used by me to create and edit word processing documents. The application is pretty full featured and works well on all iOS devices. It is compatible Microsoft Word documents, Apple desktop Pages documents as well as plain text files. A great addition for iPhone 4S users is the new dictation feature that provides the ability transcribe your words into text. Quickoffice Pro - While I am in this neck of the woods if you are looking for an app to really focus on reading and editing Microsoft Office documents, look no further than Quickoffice Pro. This is the Swiss Army knife to review your Word, Excel and Powerpoint files. Not only can you edit and navigate even large files with ease, the app natively syncs and shares your documents on cloud services like Dropbox, Google Docs, Box.net, Huddle, SugarSync and Evernote. Awesome Note - This app combines notes and to-do's into a single application. It is a great little bucket to fill up all aspects of your life. You can create color-coded folders for different topics and create multiple notes in each folder. Notes can include pictures, text, hand-drawn images as well as reminders and alarms to keep you up to date. I find this as a great tool to track my projects and longer-term needs. 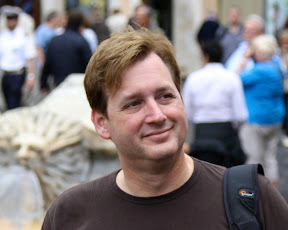 You can sync your notes with Google Docs or Evernote (more on that later). Pulse - This beautiful application transform all your streams of news, websites and social networks into a mosaic of sliding images and text that truly reinvents how you gather and read your news. You can sync content from Facebook, Twitter, Google Reader as well as document reading services like Instapaper, Read it Later and Evernote. 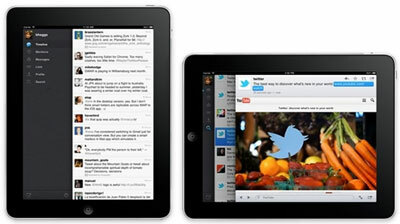 The application also supports off-line reading with your news cached on your smart-device. Flipboard - The best way to describe this app is as your social media digital magazine. Like Pulse, it aggregates information from a wide-range of sources and transforms the information into a magazine format that makes surfing through the content extremely enjoyable. Facebook - Sure, you can access Facebook on the browser of your mobile device but the native app can navigate the sites wide-range of features. The recently released version is extremely intuitive and makes accessing your wall, photos or sending a message with ease. Twitter - If you are a twitter-holic or just want to keep your eye on your stream of "follows", this is a good clean app for this service. 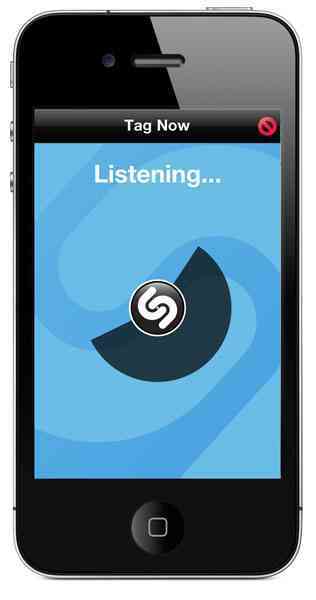 Shazam Encore - This app almost magically samples a song playing anywhere you hear it and figures out the song and artist! You have to see it to believe it. And new features include the ability to sample some commercials or TV shows to get access to additional information or promotions. How do you get your life in order? 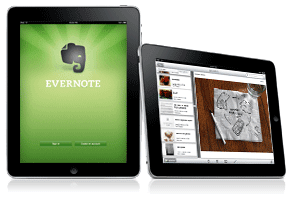 Evernote - This note-taking app will consume and store pretty much anything you give it. 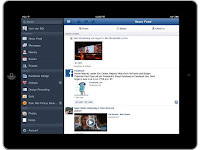 And not only can you retrieve or edit your content on the iPad but the information is available on your smart-phone, computer or nearly any web-browser. I have sections for my ideas, clippings from the web, pictures of things I run into and want to remember. Text, audio, images all stored conveniently online and easily searchable. 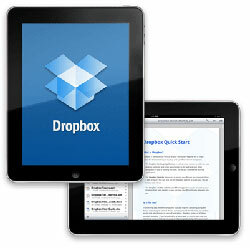 Dropbox - Is another great application for synchronizing your files and data across multiple devices. This really opens up the doors for how much information you can take with you as the largest storage you can buy on an iPad is 64 gigabytes. And images, movies and audio files can fill that up quickly. Another great feature is the ability to share specific files or folders with family or friends for easy transfers or collaboration projects. 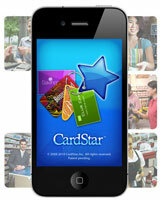 CardStar - Take all those loyalty cards you collect out of your wallet or purse and make them digital. Receive coupons and local deals automatically. Reminder - This app is already installed if you have iOS5 the latest version of the iPhone and iPad. This little gem has a very special feature that allows you to place reminders and tasks that not only trigger based on a specific time but also based on a set location like home, work or a specific destination. Now you can get prompted with your shopping list as you walk into your local grocery store! How does the iPad help me watch my money? Pageonce: Money & Bills - An great aggregator of all your financial and personal information. Their system links to all your financial (credit cards, banks, 401K) and point accural/loyalty systems (Hertz, Starwoods, Hyatt) to keep track of investments, rewards and bills. How do you unlock your inner creativity? Instagram - Take great pictures on your iPad or iPhone, add a filter to spice up the look and share it to Facebook, Twitter or Flickr...all in this one app and online service. Snapseed - An amazing photo-editor that is fun, easy to use and extremely powerful. 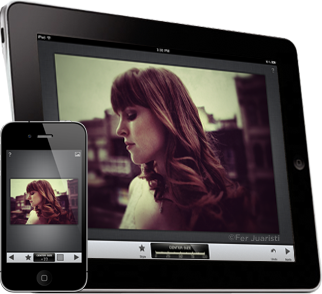 You want adjust image settings, work on just a part of the photo and add cool filters. 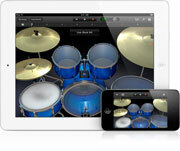 GarageBand - This is a fun and entertaining music creation tool for the experienced and novice. You will be surprised at what you can create with this multiple track and multiple instrument audio tool and be sure to share your songs with friends and family. How does the iPad keep me entertained? Netflix - Take your Netflix's movies and TV shows on the go. Of course your choices of available content with your Netflix streaming subscription seems to be shrinking of late but let's hope Netflix is able to get additional studio content in their digital subscription. 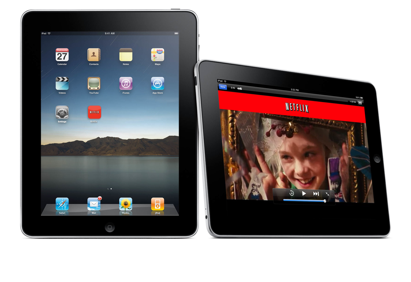 HBO Go - Stream all the HBO exclusive content on your iPad. It is a free additional service for HBO subscribers. It is a great way to stay up-to-date on the latest movies, HBO originals like Boardwalk Empire, Curb Your Enthusiasm, etc. Pandora Radio - Take internet radio with you. Be surprised, discover new artists and songs. You can create your own channels of songs based on your preferences in music! Spotify - Is a subscription music service that allows you access to millions of songs. But to really leverage the platform on our mobile device you need to look at some of their subscriptions options. Check out what they offer and if you are a music buff, you may really want this one on your iPhone or iPad. 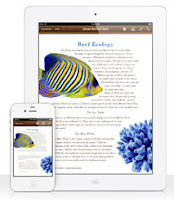 iBook - This app is free and available for pretty much all the latest iDevices and is Apple's solution for ebooks, magazines and even stores your PDFs for later reading. Overall Apple has a great library of books and compatible magazines with some exclusive that require me to use this app but I do seem to lean on the next two apps a bit more. 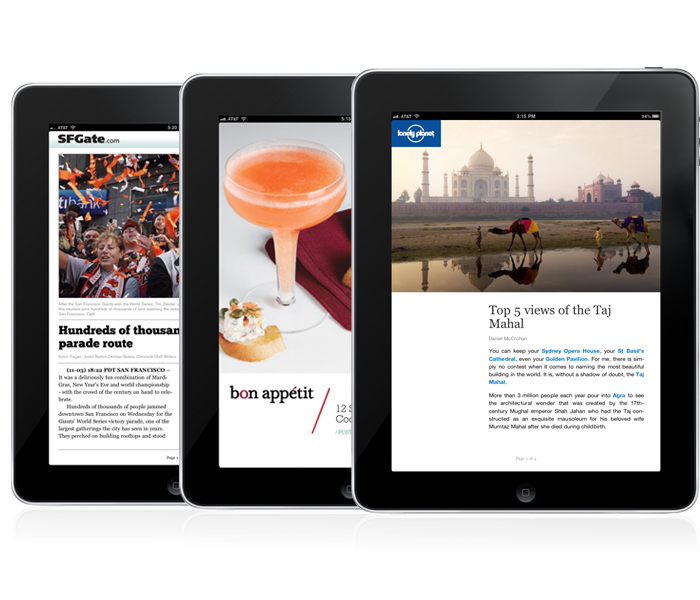 Zinio - Is a magazine/periodicals solution on the web that allows you to subscribe or purchase single issues. 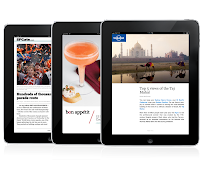 The range of content is pretty good and the ability to access your content on a wide range of devices makes it a step above the Apple iBook solutions for the most part. Kindle - I'm sure you have heard of the Kindle ebook reader sold by Amazon but you may not know that you can access those same books on your iOS device like the iPad or iPhone. DirecTV - Access the content on your internet-connected DVR, watch live television, program or control your DVR and research show information all from this app. A must for any DirecTV subscriber. Comcast has a digital solution as well but I am not familiar with their solutions. Other providers probably do as well and you should look up what yours has to offer. How do you have fun with the iPhone or iPad? Angry Birds - There are several versions. Start with the free traditional "Angry Birds" and work your way up through the "Seasons" and other versions. There is a reason this is one of the hottest smart-device games on the planet. 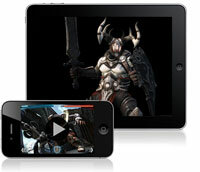 Infinity Blade and Infinity Blade 2 are cinematic combat games. You control how your character attacks based on how you swipe your finger on the screen. It is a pretty rewarding action game that offers some of the most visually stunning imagery available on a tablet or smartphone. Words with Friends - Okay, I am just going to say it. It is Scrabble! Sure the board is a bit different but it is essentially Scrabble. You get tiles of letters and build words on each others words. What is cool about this is that you can play your turn and send it to your friends smart-device where they will play their turn when they get a free moment. This allows you to have a whole slew of these games running in parallel. Just don't try the Scrabble/Words with Friends cheat sites! Zen Bound 2 - Using just your finger, wrap up unusually shaped objects with twine. The quest for more efficient wrapping will keep you busy for hours. 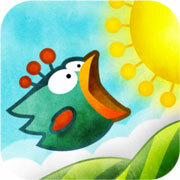 Tiny Wings - It couldn't be simpler. You touch the screen when you want your bird to dive to the ground. If you time it right, the bird will hit the downslope hard and zoom up the hills and get airborne...repeat before the day runs out. Where's my water? - Who knew it would be so tough to get the pumping just right and get that water to the bath tub! Lots of fun! A beautiful Disney production. Osmos - Save your little blob by absorbing the smaller objects and avoiding the bigger ones before they absorb you! Physics fun! Flight Control - You are in charge. 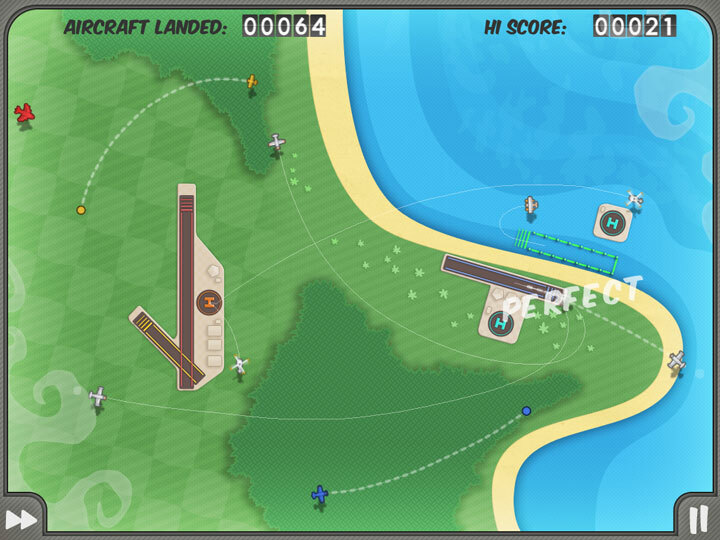 You have to get all those planes to the right runways without colliding with each other. Very fun and multiplayer is even more entertaining. 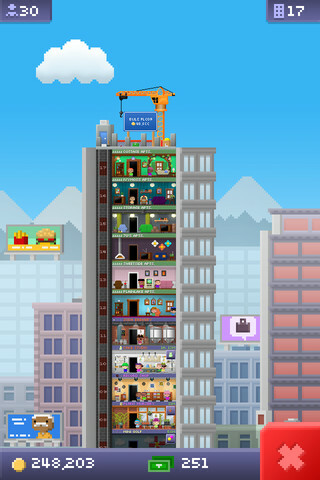 Tiny Tower - You are the landlord. Start with only one floor and build your empire one floor and one bitizen at a time. Probably my favorite game of 2011 on the iPhone. You play it when you have time and can check in on the game in a matter of moments. Contre Jour - Another great navigate your blob around the screen. This game requires you to modify the surroundings to complete the level. Cut the Rope - With a finger swipe you "Cut the Rope" and the trick is to feed your candy to the little green guy. The levels are fun and can prove challenging but highly recommend this game. Jetpack Joyride - A great combination of racing through a level, seeing how far you can get with loads of customizations while trying to accomplish a well balanced set of unique goals with each run through the level. My favorite action game of the year on any smart-device! Plants VS Zombies - If for some reason you haven't played this on any device...get this! You build up your defenses from a continuous onslaught of the undead! Fruit Ninja - Chop the fruit as it comes flying on the screen. It can be very rewarding. Just avoid the bombs. Multiplayer is great fun as well. How do you keep your kids entertained and educated? Mathemagics: Mental Math Tricks - Anyone can benefit from keeping your mind agile by testing out your mental math skills. >Sudoku - Is Sudoku plus a points system, runs and a leaderboard. Probably the nicest execution of Sudoku and it is FREE. Star Walk - Point your iOS device at the sky and the app will tell you what you are looking at. Stars, constellations and even satellites all show up in real-time. This is a beautifully produced application for stargazing. The Elements - Is an incredible recreation of the periodic tablet. Highly interactive and engaging. You will learn something new every time you open this app up. Flashcards Deluxe - Make your own flashcards or download study sets online. Smart study system automatically focuses on cards you miss. Supports Quizlet.com and FlashcardExchange.com for 4 million+ flashcard sets. How does an iDevice get you around? Navigon - GPS app for your iDevice. You have Google Maps already on your device but this turns your phone or tablet into a real-time navigation system with turn notices, traffic and route finding. Worth the money! Yelp - Brings the popular online site for crowd-sourcing/reviews of your local establishments. Helps you find "lunch", "dinner", "mexican" or any other venue nearby. 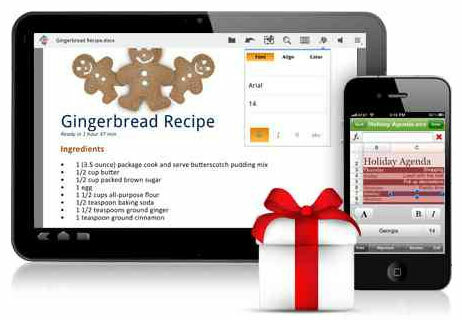 Opentable - This is a wonderful system that allows you to make reservations on your phone or tablet at your favorite local restaurants. 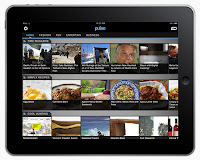 The app includes reviews, menus and helps secure your reservation while you are on the move. You also earn points with each reservation that can be redeemed for credit that can be used at any Opentable compatible restaurant. I pretty much decide where we are going to eat nowadays based on where we can get a reservation. Pageonce Trip Tracker - Made by the same people that make the Money and Bill's app above. This is a great app to get real-time flight status, itinerary push alerts, live weather, route maps, hotel information and car rental details...basically helps with all your travel needs. 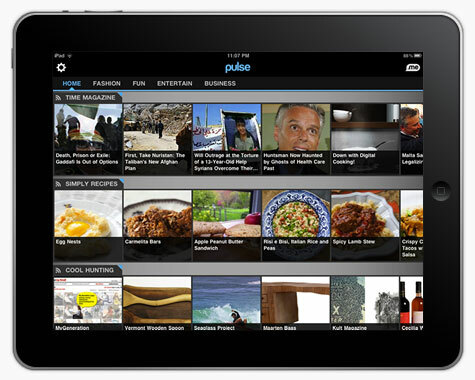 How does the iPad keep you cooking? Epicurious Recipes - From Epicurious.com search more than 30,000 delicious, professionally created recipes from Bon Appetit, Gourmet, Self, and renowned chefs and cookbooks. Can the iPad help me shed pounds? Fitness - Features 700+ exercises for men and women and 50 YOGA poses with video and audio instructions. App includes 700 videos and 40 ready-made workouts. While this article has focused on what is available for the most sought after computing devices of the past couple years...the iPhone and more specifically, the iPad. It doesn't mean that the app isn't also available for Android smart-phones, Blackberry or even the Windows Phone and all are probably great apps no matter what platform you have. I just hope this is a good starting place for someone interested in getting the most out of their smart-device. I'll endeavor to keep this list fresh and up-to-date as new and better apps come about or some of these get outdated. I would LOVE to hear about your favorite apps...comment below! Enjoy your mobile computing experience and wishing you a Happy and Healthy 2012!